This book contains all the timeline articles that capture the state of our Roleplay Canon at a point in time. This page provides a summary of current events split by chapter. Within the book are additional pages that list the more minor events that happened during each Chapter. The first section below describes the Expanse setting. Humanity has expanded and reached for the stars. Earth has become more than simply the birthplace of our species, but just one of the few active governments within the Solar System. We have spread ourselves far and wide across the nearby expanses of space. Mars, once an independent colony, long ago broke off from the government of Earth in the first Interplanetary war, becoming an independent state and operating its own military. Both governments utilize those humans who live on a vast array of space stations and moon bases across the solar system, these ‘belters’, live supposedly independent lives, though are economically and militarily inferior to both Mars and Earth. Earth’s population reaches 12 billion. Overpopulation dangerously taxes the environment, so space agencies begin researching the colonization of other planets. Terraforming projects on Mars and ‘Luna’ commence in 2125. In 2190, Martian secessionists publish their manifesto, and Earth ships immediately set course for Mars to reclaim the colony and quash the revolutionary forces. Outright war is avoided at the last minute, but uneasy tension remains. Earth’s population reaches 19 billion, and Mars’s population soars to 75 million. In 2205, Martian-born Solomon Epstein invents a fusion power engine called the Epstein Drive, allowing ships to travel at a high sustained thrust throughout a voyage. This efficient engine gives Mars a comparative advantage over Earth in its ability to access the resources in the Belt. In an effort to prevent a war over the change in the balance of power, Mars shares the Epstein Drive with Earth. The Mars Congressional Republic holds its first congress; soon after it declares independence from Earth. Earth’s colonization of the Belt begins by 2210 with the use of a few newly-built ships outfitted with Epstein Drives. Earth’s United Nations consolidates into a world government in 2210 to oversee the Belt’s colonization program. Tycho Station is built, and becomes home to the first Belters by 2215. Terraforming and colonization on Eros begins in 2220; once complete it is used for mining operations for the next 30 years. Terraforming and colonization on Ceres begins 2245 and soon becomes the economic centre of the Belt. Colonization of smaller asteroids and the outer planets’ moons begin 2250 and continue throughout the rest of the century. Earth’s population reaches 27 billion, Mars’s population reaches 1.5 billion, and the Belt’s population, including the outer planets, reaches 45 million. The Outer Planets Alliance (OPA) forms in 2325 to represent Belters’ interests. 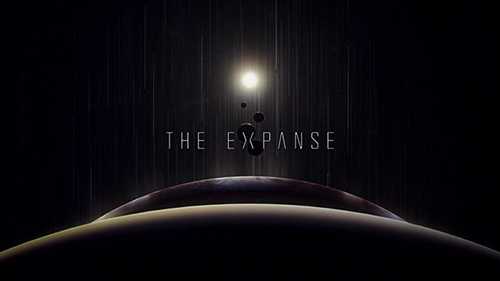 Soon after its inception, the The Expanse | 5 OPA becomes is linked to several bombings on Earth and Mars. In 2330, Earth demolishes Anderson Station in the Belt, led by Colonel Frederick Johnson. In a large part due to this event, Johnson defects to the Belt and becomes leader of the OPA in 2335. In 2350, Earth’s population reaches 31 billion, Mars’s population reaches three billion, and the Belt, including the outer planets, reaches 70 million. The Canterbury is attacked on its way to Ceres carrying a shipment of ice. Eros is infected with the Procomolecule and Quarantined, while public knowledge claims it is a viral epidemic. Johnson was killed by the Radical faction in the OPA who felt he was too soft. Mao has not been seen or heard from, Protogen has been taken over by a new group. At the results of growing tensions with stealth tech being investigated, The UN / Martian special meeting results in a terrorist attack. Special elections made. The MCRN fleet is heavily patrolling the belt. After the attack on the Donnager was pinned on the belt, there is a concern that they were to take the region by force. Influenced from within by Protogen the UN Navy is readying itself for a war with Mars. Fear, tension, and hate rise throughout the solar system as Belter’s have their limited resources tightened and Earth carefully watches Mars in a powerful game of interstellar dominance. The remaining crew of the Cantebury are set to Eros by the OPA to find Julie Mao, where they arrive and find an outbreak of the virus. Since then the crew of the Rocinante has not been heard from. In the wake of Eros’ Incident, both Earth and Mars agreed to a mutual quarantine to keep the truth underwraps and providing a small fleet of both navies surrounding the Asteroid base. Fabricated news relayed that a virulent virus had spread quickly through Eros, prompting the quarantine, but the truth still remains hidden. With the Special Elections over and the Solar System thrown into Chaos, the new leaders of the MCR see an opportunity to both exert a small bit of power and gain vengeance on the OPA faction that attacked not only their leadership, but that of the UN as well. Acting on intelligence the Martian Congressional Republic sent a fleet of ships to Blockade the colony of Ceres, locking down the entire station and demanding that the OPA turn over the terrorists who committed the bombings of the peace summit. Reacting harshly, Belters across Ceres broke out into spontaneous riots that saw the colony fall into chaos. Though multiple injuries and even deaths occurred to OPA, UN, and MCRN soldiers, not to mention civilians, the Riots were eventually quashed and a modicum of peace returned to the station. The MCRN had made it's point however, they were a force to be reckoned with and considered. The blockade ends, but the MCRN leaves a permanent presence at Ceres. That single realisation has to sink in following the Eros event. The MCRN and UN are forced to try and unpick who was responsible for Eros. Meanwhile the belt tries to decide what to do with the resources they have gathered from Thoth Station. As tensions continue to rise, Earth and Mars station fleets over Ganymede, one of the most important colonies in the system. Tensions boil over when two opposing warships begin to attack each other, leading to an all out engagement in the skies over Ganymede Station. On the ground, the UN and MCR garrisons clash leading to massive casualties. Debris from the battle overhead causes several agricultural domes to be severely damaged, causing a humanitarian crisis. Many belter and civilian vessels are rerouted to Ganymede in an attempt to evacuate the population who are now caught between vicious battles between Martians and Earthers. A ceasefire is eventually brokered but not before irreparable damage is done to the station. Several relief vessels lift off from the station, including a suspected OPA/terrorist vessel. The UNN and the MCR begins the long process of reconstruction. The asteroid belt station of New Providence blames the UN and MCR for the humanitarian crisis at Ganymede, citing evidence from the many thousands of refugees now streaming into the city. The station's elected representative council begins construction of a security fleet in the hope that it will safeguard the station against the aggressive policies and tactics of the inner planets. The station begins to be seen as a possible threat by the UN, several covert operations are launched against it. During peace talks between the OPA and the MCR< Tycho Station is attacked by an unknown assailant. The combatant is impervious to conventional weaponry and links are drawn between it and the events around Eros several months earlier. The station is evacuated with much of the personnel board the Nauvoo, now rechristened the OPAS Behemoth. Unknown to the UNN and MCRN, the vessel had been steadily armed and armoured. An unknown vessel was identified to be the culprit of the attack on Tycho station, and as the station is destroyed, the Behemoth gives chase. UNN, MCRN and OPA fleets converge in the skies over Io for a final showdown. The unknown vessel is identified by government officials on Earth to be a Protogen Stealth Ship. The vessel is taken into custody by the UNN but not before several experimental weapons are launched from the surface of the moon, crippling several UNN ships and one MCRN ship. This page has been seen 1,987 times.